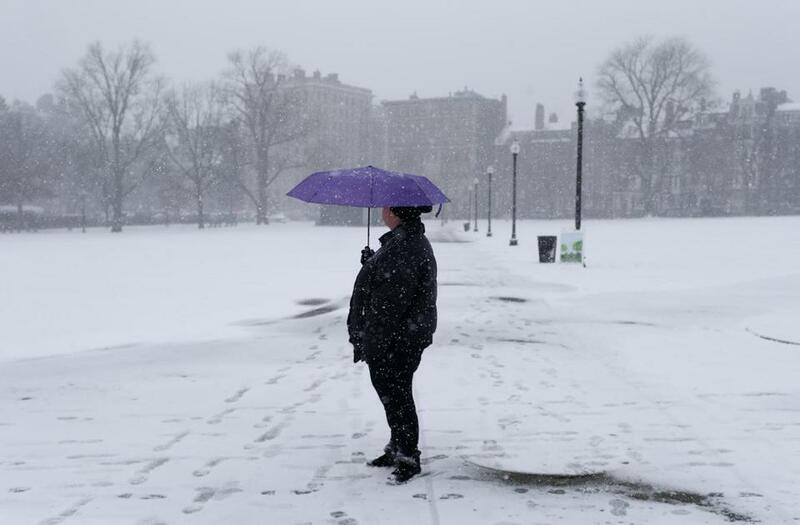 Tuesday’s winter storm, with the forecast of snow, sleet, and freezing rain, forced widespread postponements of high school basketball games and other events from Amesbury to Wareham in Eastern Massachusetts. A number of schools issued early dismissals and canceled afternoon/evening activities. With school vacation looming next week, and MIAA tournament seedings on the horizon (basketball on Feb. 22, hockey on Feb. 23), athletic directors face a tight window to reschedule games before the postseason begins. In boys’ basketball, the matchup between No. 13 Hingham and Division 3 contender Bishop Stang in Taunton was moved to Wednesday at 5:30 p.m..
A highly anticipated girls’ matchup between No. 6 Wellesley and host No. 7 Natick was moved from Tuesday evening to Friday at 5:15 p.m.
Duxbury moved its boys’ basketball game at Plymouth North to Wednesday at 5:30 p.m.The girls’ basketball team was supposed to play at home Tuesday night, but with a cheerleading meet set for Wednesday at Duxbury, AD Thom Holdgate moved the girls’ basketball game to Sunday at 2:30 p.m.